Pirate Pete Nava, 63, of Nampa, Idaho passed away on Saturday, August 11, 2018. He was born in San Miguel, Tamaulipas, Mexico on May 16, 1955 to Magdaleno and Maria Luisa Nava. He lived in Nampa, Idaho for many years. 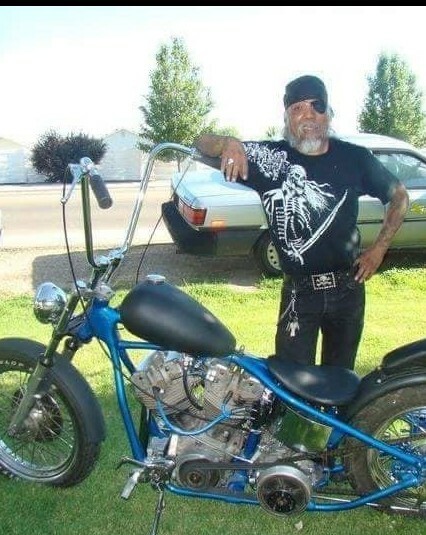 He was a simple free spirited man who enjoyed riding his Harley. He loved spending time with his grandchildren. He was a very loving and caring person; we will miss his jokes, laughs, and nicknames he gave everyone. He was definitely one of a kind. Pirate Pete is survived by his daughter, Bambi Nava; grandchildren, Aaliyah Vega, Romello Vega, and Yvie Vega; his mother, Maria Luisa Nava; sisters, Yolanda Nava, Susan Dehoyos, and Sally Garcia; brothers, Juan Nava and Jose Nava; numerous nieces, nephews, and other family members. He is preceded in death by his brother, Carlos Nava; niece, Marisela Balderas Labrum; and father, Magdaleno Nava. Visitation will be Sunday, August 19, 2018 from 4:00 PM to 7:00 PM at Alsip and Persons Funeral Chapel, 404 10th Avenue South, Nampa. Funeral service will be Monday, August 20, 2018 at 10:00 AM at Alsip and Persons Funeral Chapel with a procession to Kohlerlawn Cemetery for burial.